Filled with lots of hints and clues on proper garage door opener installation. Perfect for owners of all types of door openers. Most homeowners focus on the good garage door maintenance of springs, openers and the other major parts of the system and forget our advice, that all garage door parts are important. 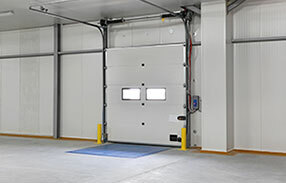 The smooth movement of the door depends on the good cooperation of all parts and loose garage door hinges may affect the alignment of the door or the job of cables. If you do not want to see unsatisfactory scratches on the surface of your garage door, better use a good quality cloth for cleaning. This means using a smooth and mild cloth for wiping the surface. Also, it is important to pay attention to the type of detergent to use when cleaning. It should also be free from harmful chemicals. Loose garage door cables must be tightened and adjusted. 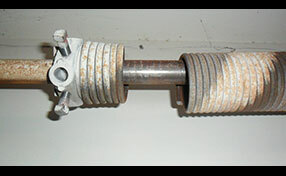 We insist that all garage door parts must be in excellent condition in order for the system to operate properly. Loose cables will slow down the pace of the door and may create problems with its balance or with the garage door springs. They may also get loose if they come off the drum. A well maintained garage door helps provide security to your vehicles, family and your home. Just make sure that the door and opener is fully operational. You can do a visual inspection every week or once a month to check for minor problems. Potential thieves have a variety of means to find a loophole in your home’s security. If your garage doors work with a remote, they can get through the transmitter and open the door when nobody’s home. To improve your security, get an opener unit with a rolling code technology, which allows the code change with every use. If you are on a vacation, you should unplug the opener unit or make use of a lock console security switch. This type of switch is an optional accessory for garage door openers. With this switch on, the remote control becomes unusable. Unauthorized access to your home is prevented.